Gutter cleaning is something most homeowners push to the back of their minds, but it shouldn’t be ignored. Hiring a professional gutter cleaner in Glen Waverley ensures the job is done to the highest standards, with long lasting results that mean you don’t have to worry about it again for a long period of time. If you don’t clean your gutters regularly, a long list of problems can occur. Dirt, leaves, rubbish and debris can cause your gutters to become blocked, constricting the water flow and leading to an overflow of water that can damage your living space, house foundation and even your landscaping. Stagnant water can also create the ideal breeding ground for a range of harmful bacteria and pests, including mosquitos and other insects. 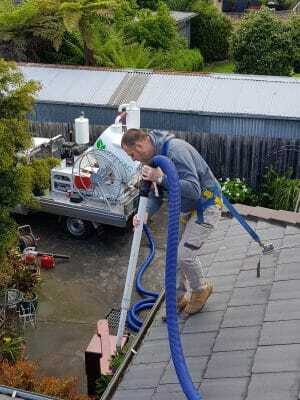 When choosing LeafVac for your professional gutter cleaning in Glen Waverley, our fully qualified and insured gutter cleaning experts arrive with all the equipment needed to get the job done to the highest standards. We use a powerful truck-mounted vacuum excavator that gives your gutter a long lasting clean, clearing all obstructions quickly and safely. It’s a mess-free, hassle-free service that’s respectful of your property and privacy, and you’ll even receive digital photos of the before and after progress for your reference. For professional gutter cleaning in Glen Waverley you can trust, call 0455 488 837 today to book your job.